The Earth revolving round the Sun causes the apparent annual cycle of the Sun's movement. 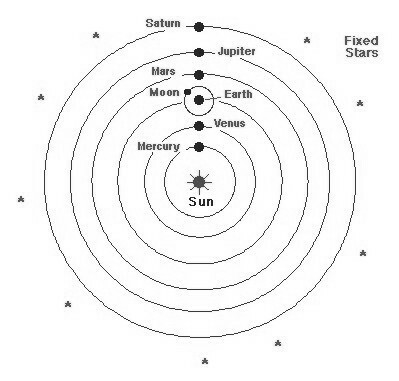 The motion of the Earth, from which observations are made, causes the apparent retrograde motion of the planets. At the time of Copernicus, Aristotle's cosmology was still considered to address all philosophical and theological questions, while Ptolemy's astronomy addressed the mathematical issues associated with calendar and positional predictions. 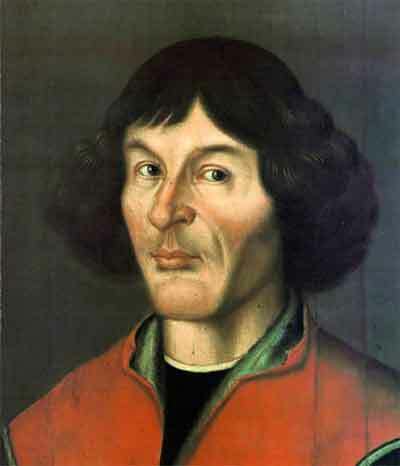 In this context, Copernicus's work is not only to put the Sun at the centre of the known universe, but also changes the traditional boundary between cosmology and astronomy. However, when Copernicus died in 1543, he was essentially unaware of the effect his work would have on philosophical and religious beliefs of the Renaissance. In the 16th century, it was generally believed, and still believed by some, that God made man in `His image` and that man held a special place in creation by being given a soul that existed outside the material world. Indirectly, by reviving the heliocentric theory, Copernicus' was also removing man from the centre of the universe, which ran counter to the doctrine of the church. At this time, the power of the church was pervasive throughout Europe; even so it would not ultimately be able to suppress the new ideas that were beginning to emerge, although it would try. So while there is no denying the impact that Copernicus' work would eventually have, it is probably fair to say that Copernicus was a religious scholar of the `old school`. Like Aquinas, Copernicus's life was defined by a society dominated by the power of the Roman Catholic Church. These men, while embracing the rationality of scientific thought, were still fully immersed in a world defined by Christian theology and philosophy.